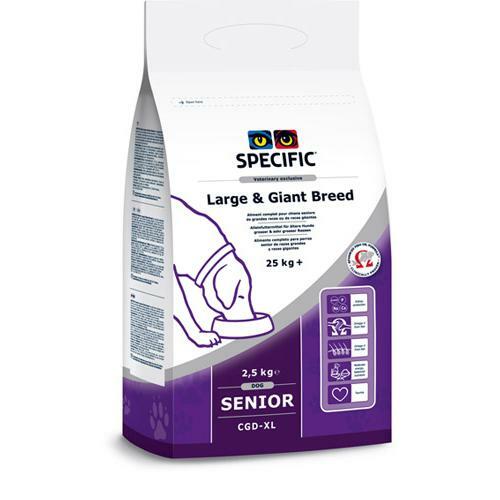 Specific CGD-XL Senior Large & Giant Breed Dog Food is a delicious kibble that contains the right mix of nutrients like Omega-3 fatty acids, antioxidants and L carnitine to help your dog stay active and vibrant well into adulthood. Plus it is high in fibre to help your dog’s digestion. Reduced protein, phosphorous and sodium to lower workload on the kidneys. Extra large kibble to encourage chewing.